Hip Hop Karaoke x FourPure @ Tate Modern! 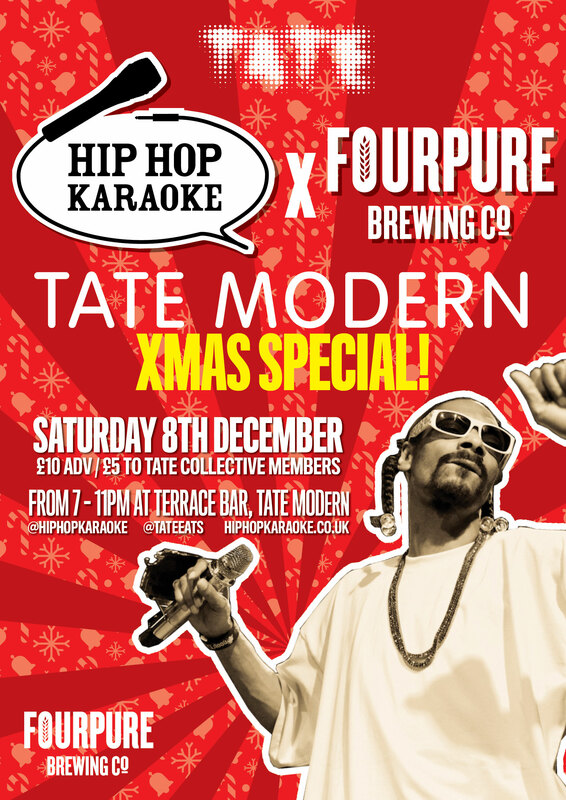 Hip Hop Karaoke returns to The Tate Modern for a very special ‘Festive Skank’ with our friends from FourPure. As usual we’ll be ‘stocking’ up with a huge list of hip hop bangers by everyone from LL Yule J to Cardi Tree, so come and party with us as we put the ‘rap’ in wrapping! Xmas gifts for our best performers from the wonderful people at FourPure and Tate Eats including brewery tours and dinner for two at the Tate Modern!